What a long day it has been today. The trip from the airport revealed a few things. Moscow suburbs are very green. 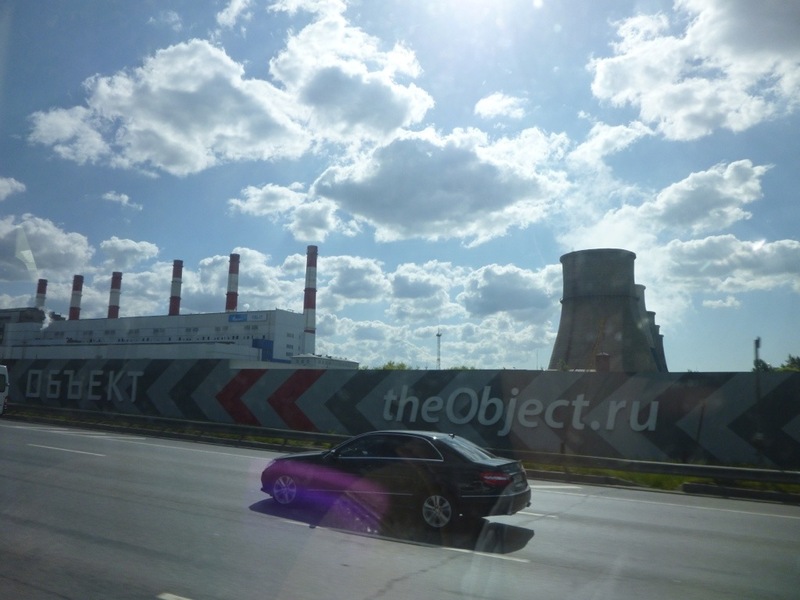 We passed a nuclear reactor in the middle of the city. The apartment blocks are gray in color and very utilitarian. The trip leaving the airport reminded me of Kiev (the highway, the fern trees…). 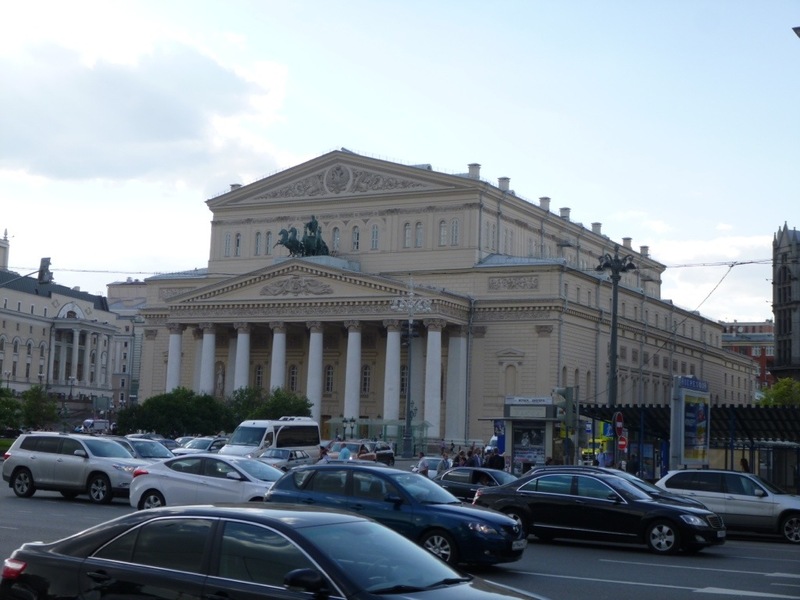 We had a nice walk around the Red Square, the walled city (aka Chinatown), Bolshoi Theatre, and the shopping street. We had Russian lunch and Belarusian dinner. 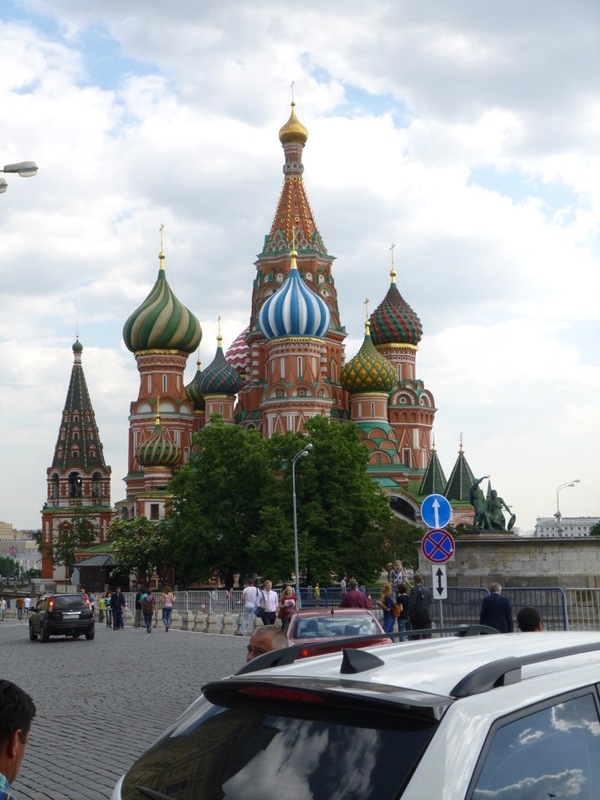 We went to the famous, breath-taking St. Basil’s Church. 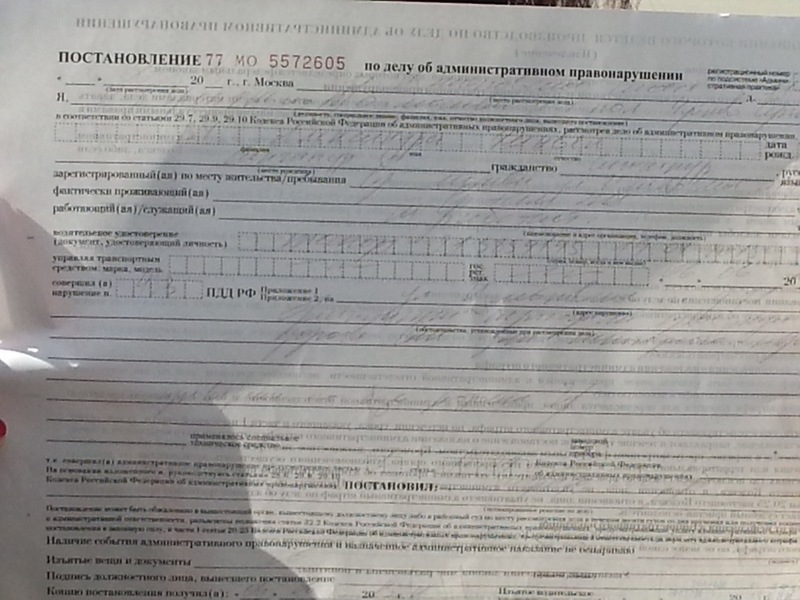 A few girls from our group were stopped by the Police for jaywalking (they randomly picked the people to fine and they let them stewed for a while filing in the fine details). So that was quite a highlight of the day. Another highlight is of course the beautiful Metro stations!!! I will talk about these more on the next posts. Another proof that traveling broadens one’s life….and that a perfectionist and a control freak can still be saved from herself. OMG, I know you are going to mention Putin. I know you too well!!!! !